In our premier issue last October we featured a piece about the Indian Rock Inn. Over the course of a couple of photographic sessions I became friendly with the owners, Tom and Beverly. This relationship eventually led to an offer that meant dusting off my bartending skills and getting back behind the stick for a few Sundays until they could find a suitable replacement for the previous barkeep, who was off to a new life in Philadelphia. A year of Sundays has passed since that temporary agreement was fashioned, and another cast of characters have brought enjoyment and enrichment to my personal one act play. Among these good people was David Gratz who gave up his place at the bar on August 09, 2008. It was only near the end of his life that this quiet unassuming man shared any of those details that are standard to most obituaries. David, the son of a well-known and respected railroad man also went to work on the railway. After completing college he began a career in environmental remediation in New York City. And barring a playoff berth, a portion of sixteen Sundays each year was dedicated to the fates of the Pittsburg Steelers. Other than these few facts I knew virtually nothing about the particulars of his past; but during our short time together I came to know the nature of this gentle soul. On most Sunday evenings, just as most of the patrons were heading out the front door grumbling about the inevitability of another Monday, David would slip in through the back, beaming with his usual boyish grin and extending the most sincere greeting one might ever receive from another human being. In between closing procedures we would talk a bit, laugh a lot and spend some time playing with the owner’s dachshunds. And when my tasks were finally completed we would raise a glass and take some time to appreciate the silence. David’s life had only just recently cleared the half century mark. One might be inclined to express frustration and sorrow over such unrealized potential; but given a hundred years few men could have achieved his level of kindness, generosity, faithfulness and integrity! 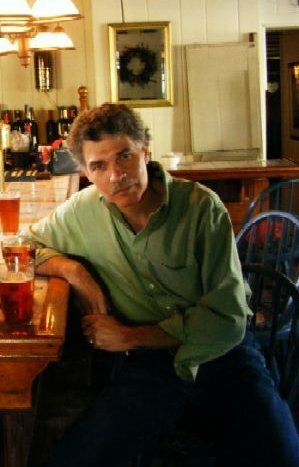 The entire staff and management of American Public House Review extend our heartfelt condolences to the family and friends of David Gratz.